Nefertum was the Egyptian lotus god of healing, beauty and perfumes, depicted in ancient Egyptian art with a large lotus blossom forming his crown. Water lilies, lotus flowers, open in the morning and close again at night symbolizing rebirth and regeneration. 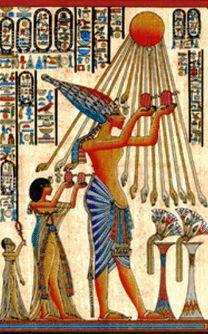 Nefertum was the god of the early morning sun, perfumes and aromatics. Cult Center: Memphis which became the capital of Ancient Egypt for during the period known as the Old Kingdom "the Age of the Pyramids"
Titles: The "Perfume Lord", "Protector of the Two Lands" and "He Who is Beautiful"
Nefertum, the Egyptian lotus god of the sun, healing, medicine and beauty, featured in the stories, myths and legends in Egyptian Mythology. Nefertem was believed to have emerged from the sacred lotus flower at the point of creation. According to ancient Egyptian mythology Nefertem brought the great Sun God Ra a sacred lotus to ease his suffering as he aged. The scent of the lotus was considered restorative and protective and it played an important role in the history of ancient Egypt. There are numerous depictions in Ancient Egyptian Art of the lotus, or water lily, being held by gods and goddesses towards the nose of the royal kings, queens and pharaohs of Egypt. 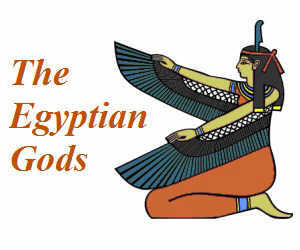 Nefertum as the lotus god of healing, was therefore closely associated with the protection of royalty the given the title of the 'Protector of the Two Lands', meaning Upper and Lower Egypt. The Ancient Egyptians believed that scent of the lotus had a divine origin and it was used in temple and funerary rituals and ceremonies related to the worship of the gods and goddesses. The lotus flower was also used in depictions of the deceased upon their entry into the underworld and their rebirth and the afterlife, as seen in many images in the numerous versions of the Book of the Dead. In many tomb paintings the deceased is shown smelling lotus blossoms to help restore the senses. The oil of the lotus was used during the long process of preparing the body for mummification “to unite the limbs, join the bones and assemble the flesh,” and reducing the smell of decaying flesh. The god Nefertum presided over this process, as the god of perfumes and unguents and was therefore associated with death and the underworld. The Memphite creation myth was devised by the priests of Memphis and focused on the gods Ptah, his consort Sekhmet and their son Nefertum. The Memphite creation myth was developed for political and financial reasons and to justify the status of Memphis as the new capital of Egypt. The chief god of the Memphis Triad was Ptah who was aligned with the primordial ocean called Nun in the old Creation myth of Helipolis and was said to have given life to all the gods. Nefertem was linked with the powerful god Atum as a young boy who emerged from the lotus flower of Nun at the beginning of time.The three gods became collectively known as the Memphis triad which centred around the cult of the god Ptah, the lioness goddess Sekhmet and Nefertem. 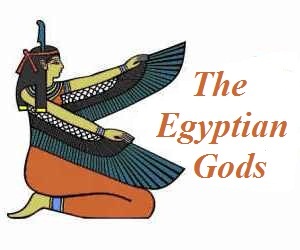 The Triad of Memphis was the Lower Egyptian (north) counterpart of the Triad of Thebes (Amun, Mut and Khonsu) and superseded the gods and goddesses of the Ennead of Heliopolis and the Ogdoad of Hermopolis. As previously stated the Memphis creation myth was not just developed for religious beliefs it was also was developed for political and financial reasons. Ancient Egypt was the perfume manufacturing and trading center of the world considered masters of the art of perfume making. By creating the god Nefertum (the god of healing, beautification and perfumes) the priests of Memphis aligned themselves to the extremely lucrative perfume market. The chemistry of creating fragrant oils was an important Egyptian science and the priests of Nefertum became involved in the development of perfumes and aromatics. Perfumes, cosmetics, unguents, air-fresheners, medicines and lotions contained oil extracted from lotus flowers. Salves, ointments and perfumed oils for ritual and medical use were processed in the temple laboratories by the priests of Nefertum. Discover interesting information and research facts about Nefertum, the Egyptian lotus god of healing. The facts about Nefertum provides a list detailing fascinating additional info to increase your knowledge about Nefertum in Egyptian Mythology. Fact 3: The ancient Egyptians often carried small statuettes of Nefertum as good-luck charms. 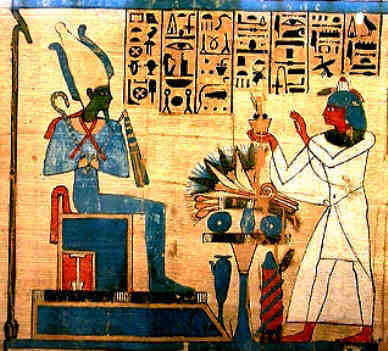 Fact 4: A version of the Book of the Dead includes the spell "Rise like Nefertem from the blue water lily, to the nostrils of Ra, and come forth upon the horizon each day." Fact 5: Nefertem was also closely associated with Horus, the son of Ra, and the two deities were eventually merged. Fact 6: Nefertem is sometimes depicted with a khopesh sickle sword in reference to his epithet 'Protector of the Two Lands'. Fact 7: Nefertum was worshipped in his primary cult centers at Buto and Memphis. 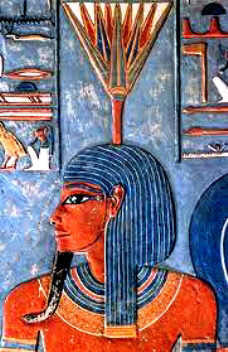 At Buto, in the Nile delta region, he was said to have been the son of the cobra goddess, Wadjet. Fact 8: In at Bubastis the mother of Nefertem was said to be the Cat goddess Bastet. Fact 9: Nefertum was occasionally depicted as a small child crouched on a lotus flower. Fact 10: Mummies were anointed with perfume to bestow life upon them and render them acceptable to the gods.